Five Central Georgia institutions working to improve literacy won statewide grants this week, including the United Way of Central Georgia. UWCG was the only United Way in the state to earn funds through Early Language and Literacy Mini-Grant Program. UWCG’s Read United initiative will oversee the $20,000 grant, and will direct the funds to the Food for Thought project. This project puts books in the hands of children during the summer months when school is out by connecting with low-income children through summer meal programs. 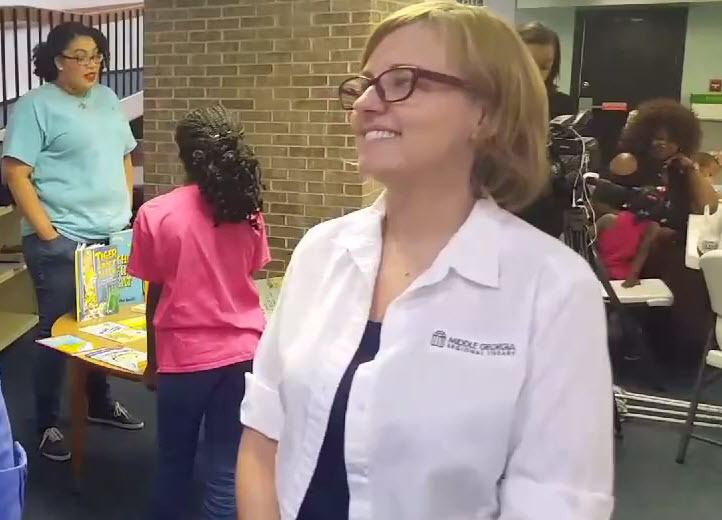 Tammie Collins, executive vice president of UWCG and the grant manager, said the Food for Thought project stops the “summer slide,” when children are apt to stop working on their reading skills. Project partners include the Middle Georgia Regional Library, Navicent Health, Sandy’s Sandbox (a child care provider), the Bibb County School District and the Rotary Club. Jones County School System - $20,000 for a bookmobile project. Hancock County Family Connections - $19,000.00 for its Read, Read, Read to Succeed. Jasper County Schools – Just over $18,000 for the Read with Me Using Technology program. Twiggs County Schools - $20,000.00 for the Vitamin Reading and Literacy Project in Twiggs. The Early Language and Literacy Mini-Grant Program is a collaborative effort between the Governor’s Office of Student Achievement and the Sandra Dunagan Deal Center for Early Language and Literacy at Georgia College. Projects must focus on goals of the Get Georgia Reading campaign, such as reading access or improved learning environments.